The second half of the FAWSL season is already underway after the Christmas break. In FAWSL 1, the battle for the title looks, for the moment, to be between Manchester City and Chelsea. Liverpool head up the chasing pack and sit six points off the top. Doncaster Belles are currently leading the way in FAWSL 2 after a bright first half of the year. Millwall, Durham and Brighton are all putting in strong performances and close behind the leaders. The final day for both leagues is Sunday 20th May. The restructure will be finalised following the end of the season and the FAWPL play-off game and the complete line up for the new divisions will be confirmed. A new name will also follow before we start over again in September for the 2018/19 season. The six FAWPL divisions are all shaping up to have fascinating conclusions to the campaign. While there are frontrunners, no one is running away with their push for titles and promotion. The final day of the season is Sunday 13th May. 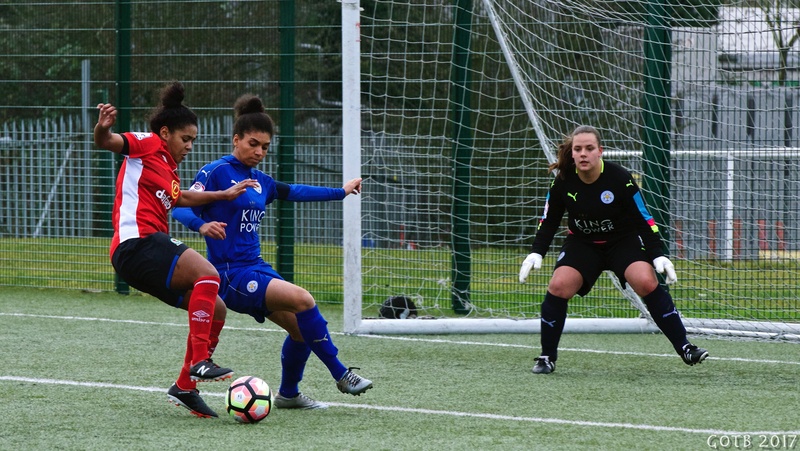 The winner from both the Northern and Southern Premier division will face each other in a play-off game for the overall accolade of promotion to FAWSL 2. At the moment, Middlesbrough and Charlton are the teams in the top spot but there is much football still to come. This will be played on a date and at a venue to be confirmed. In Division 1, things are equally as up in the air. Three points separate Hull City, Brighouse Town and Liverpool in the Northern Division 1. In the Midlands Division 1, only one point separates unbeaten Loughborough Foxes and The New Saints, although the leaders do have a game in hand. After a noteworthy first season in the FAWPL, AFC Wimbledon are showing that they are here to stay this South East Division 1 campaign. Finally, Southampton have adapted well to Premier League life and lead top-scoring Keynsham Town by three points. You can see all league tables and remaining fixtures here. The draw for the 4th Round took place last week as the 20 FAWSL teams joined the 12 Third Round winners in the competition. These ties will be played on the weekend of 3rd/4th February and the list of fixtures can be found here. The Final will once against be at Wembley on Saturday 5th May. Will we have a new winner in 2018? Having had the semi-finals this weekend, we now know the finalists for this year’s showpiece. Manchester City will face off against Arsenal with both sides looking to add to their title tally (Arsenal have four while City have 2). The Final is set to take place on the weekend of 10/11 March 2018. However, we would recommend watching this space as this is a weekend after the March International Break. With players returning no sooner that the Wednesday before, there may be a decision to be made. The venue for the match is also to be confirmed. This year’s UWCL is heading towards an interesting conclusion. With two English teams involved in the quarter-final line-up, it is definitely a competition to keep an eye on. Chelsea take on French side Montpellier while Manchester City are pitted against Swedish side, Linköping with the 1st leg scheduled on 21st/22nd March and the 2nd leg on 28th-29th March. On paper both have a strong chance of reaching the semis. If they get through, Chelsea will most likely face another tie against Wolfsburg. The German side face Slavia Praha and should come through that unscathed. Meanwhile City would face the winner of Lyon/Barcelona. The semi-finals would be played 21st/22nd April and 28th/29th April. This year’s UWCL Final is to be held in Kiev, Ukraine at the Valeriy Lobanovskyi Dynamo Stadium on the 24th May. One of the biggest highlights of 2018 will be the U20 FIFA World Cup. The tournament will take place in Brittany, France between 5th-24th August in four host cities – Vannes, Concarneau, Saint-Malo and Dinan-Lehon. 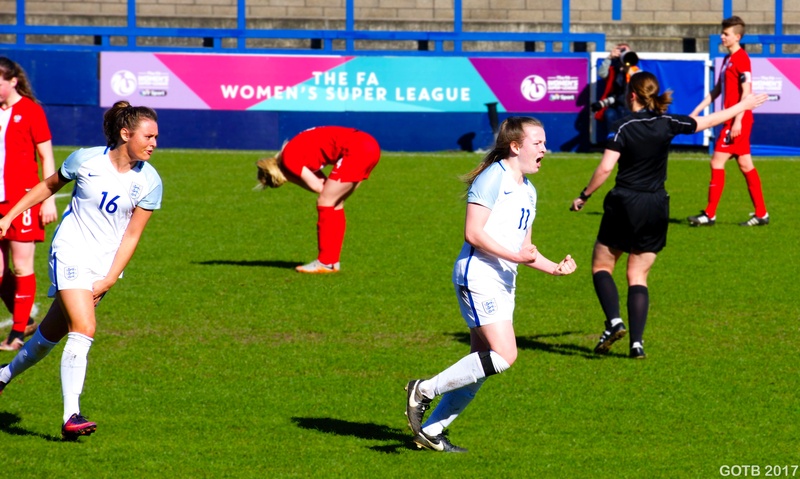 Having qualified through last year’s U19 Euros, England’s #YoungLionesses will be taking their place in the competition. We will find out their group opponents at the draw on 8th March. Over the next few months, we will find out the countries who will be involved in next year’s World Cup in France. With England, Wales, Scotland and Republic of Ireland going strong, it could be an interesting end to qualification. You can see the current standings and upcoming fixtures here. Qualifying ends on the 4th September. The seven Group winners go straight into the hat while the four runners-up with the best record go to the play-offs. The overall winner of these play-offs will be the 8th and final European team in the competition. The draw for the Finals will be held in France towards the end of this year. Could the U17s reach the World Cup? England, Scotland and the Republic of Ireland are all involved in the Elite Round of qualifying for the 2018 Euros between the 22nd-31st March. You can find their fixtures here. If they finish top of their group, they will advance to the 2018 European Championships that will be played in Lithuania between 9-21 May. With the FIFA U17 World Cup happening in toward the end of the year, all the teams in the Championships will be vying for a tournament place. The top three finishers in the competition will be heading to the big stage in Uruguay from 13th November to 1st December. England, Scotland, Wales and the Republic of Ireland are all involved in the Elite Round of qualifying for the 2018 Euros between the 2nd-9th April. You can find their fixtures here. The group winners will qualify for the Finals to be held in Switzerland from the 18th to the 30th July. The beginning of March is always a fun time for fans of the international game. This year, England return Stateside for the third edition of the SheBelieves Cup. It is going to be a cold one with Columbus, Ohio and New Jersey the venues for the first two games. The teams will then drop down to Orlando, Florida for the final match day. Fixtures can be found here. With a new manager hopefully in tow, will England be able to topple the world’s best teams? Meanwhile, Wales will travel to Cyprus for the annual international friendly tournament. They make up Group A with Finland, Italy and Switzerland who will provide a strong test for Jayne Ludlow’s side. You can see the fixtures here. Both Shelley Kerr and Colin Bell have opted out of taking their sides to Cyprus this time round. Instead Kerr’s Scotland will play New Zealand twice in Spain (3rd & 6th March). The Republic of Ireland have also announced their intention to schedule some friendly fixtures during the break. Tagged champions league, continental cup, england, fa cup, fa women's cup, fa women's premier league, fawpl, fawsl, fifa u20 world cup, football blog, lionesses, shebelieves cup, u17 euros, u19 euros, uwcl, women's football.